Space Photos of the Week: Would you like to land on an asteroid? Home / Gadgets / Space Photos of the Week: Would you like to land on an asteroid? Talk about getting a piece off the stone: NASA's OSIRIS-REx arrived earlier this week in the near-Earth asteroid Bennu. Bennu, orbiting the sun, is covered with dirt, smaller rocks, and occasional boulders. 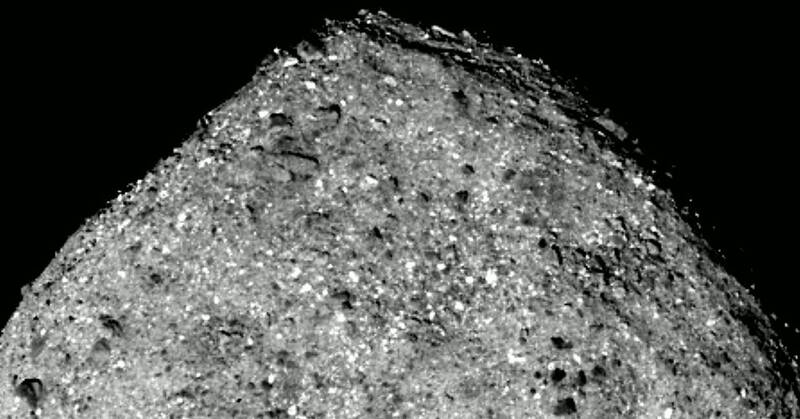 After two years and a journey of 1.2 billion kilometers, OSIRIS-REx was only 11 miles off the surface when the photo was taken, almost filling the frame. Eventually, the spacecraft will collect a sample of the asteroid to explore the early solar system. For the moment, the surface must be mapped for about a year before choosing a less rocky place to wash off. A few weeks ago, the Juno spacecraft discovered a dolphin-shaped cloud on the southern temperate belt of Jupiter. The atmosphere just below them seems to be crashing, making this scene a scene for a giant gas planet. Jupiter's clouds and storms are always something to see, but this floating dolphin looks like it was drawn by hog-wags. 1; more than 1,000 galaxies, to be exact. The Hubble Space Telescope recently investigated a cluster of globular clusters clustered in the so-called coma galaxy cluster. Galaxies in clusters are smaller than regular galaxies, but that does not mean that they are trivial: these objects are better indicators of gravity distortions in the cluster, and such anomalies point to the existence of an invisible mass – the dark matter – that is not exact well understood. And although it is 300 million light-years away from Earth and therefore a blast from the past, this coma cluster is finally being researched by scientists thanks to Hubble. Ever wondered what the violent consequences of an exploding star are like? Well, let's go. Hubble has taken this photo of a supernova named SNR 0454-67.2. These gas tendons were probably formed by a Type 1a supernova explosion, which occurs when a dead white dwarf star steals material from a nearby star – after all, it collects so much mass that it explodes. What's left is this vortex of gas and dust. Astronauts on the International Space Station are sophisticated earth observers with seats in the front row: They are at an altitude of 250 miles and can see 16 sunrises and sunsets daily. In this angled photo by Alexander Gerst of the European Space Agency, you can see the telltale lights of civilization on the ground and remember how incredible our life-sustaining atmosphere really is only a few dozen miles above the surface. Fun in the Sun: This image was created from data from the European Space Agency (ESA) Proba2 spacecraft, an Earth orbiting satellite that collected data about the appearance of the poles. Now this picture is not exactly symmetrical. This is because the corona of the sun is constantly changing and transforming. The dark center also shows the coronal hole above the mast – a great source of solar wind. It's like a look into the eye of Sauron, but at least without danger from orcs.